There is a feeling in every nerd/geeky parent's heart when they hand their child a piece of the 1980’s or 90’s and they see their progeny's face take to light as bright as their nostalgia. I personally cannot wait to be done with Harry Potter and hand my child their first copy of Dragon Lance but I think creator Greg Johnson beat me to the punch when he joined HumaNature Studios in reintroducing us all to the zany hip-hop space duo of ToeJam and Earl. Greg is one of those once in a generation minds. Talking to him was like opening a box of the last 30 years of toys and seeing them laid out before you with enough reverence to give you pause; only for him to then tell you that you could touch them. 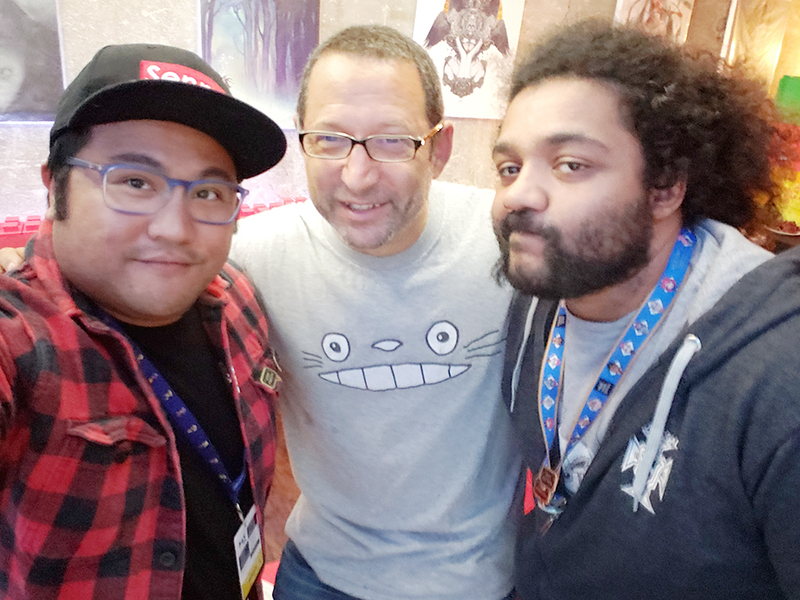 Kickstarted for $500,000 by fans thirsty to escape Earth fo Funkatron again, I had the pleasure of meeting the man behind the man-in-the-carrot suit and team at PAX West and also get my mitts on the controllers. How do you take a classic game and roll it into the modern era? More characters each with specials skills, 4 player online co-op, and a difficulty so hard they would not let us demo it. Also no bees…. Cause really…. Who wanted that nightmare back in their lives? They also filled out the world adding more new earthlings, minigames, and things to interact with that give you more time to enjoy the groove of the soundtrack as you trundle along opening mystery boxes and hoping for hi-tops. This game is in the hands of people that truly love and respect the game. Talking to them was like talking to a friend on the playground back in the 6th grade about how many pieces he found and how important exploring every edge was to finding secrets. I never did see a set of Icarus Wings though. Then it was my turn to pass something on to the next generation. Monday of PAX I brought my child in to play the game. I set them up with my buddy Zazu. What I already get left behind in Minecraft to die to archers, Our relationship cannot take that much more stress. 5 minutes in they were in full control of their first roguelike and they were glued for a full 30 minutes before we needed to see more of the con. Overall impression: “Oh We are buying that dad!” The We being me I am assuming since i don’t see them getting a job at 8. We live in an era where everything is remade until it is a Broadway musical and at that point the soul of the content is usually remnants only found in the memories of those who “were there”; but to Greg and HumaNature I say, “good on all of you”. 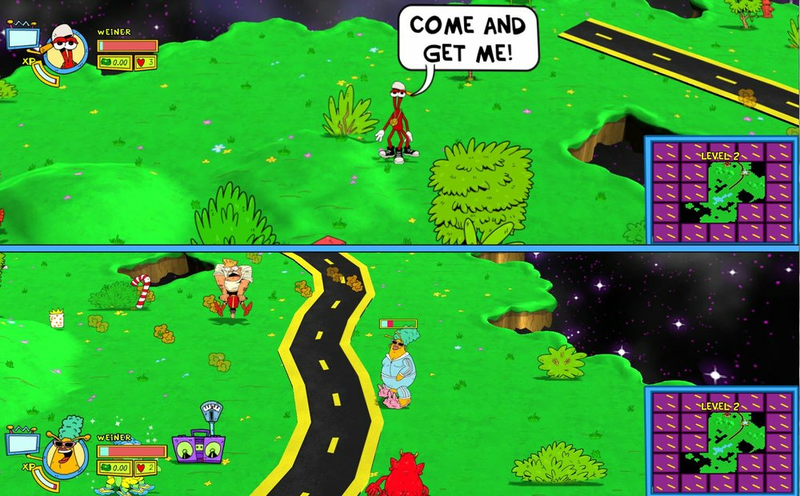 ToeJam & Earl: Back in the Groove is not a remake but a refinement; an exercise in trusting not only where you have been but how to take the next steps to get to your goals. I cannot wait to crank this thing up to 11 and frustrate my friends till we all get Back in the Groove. 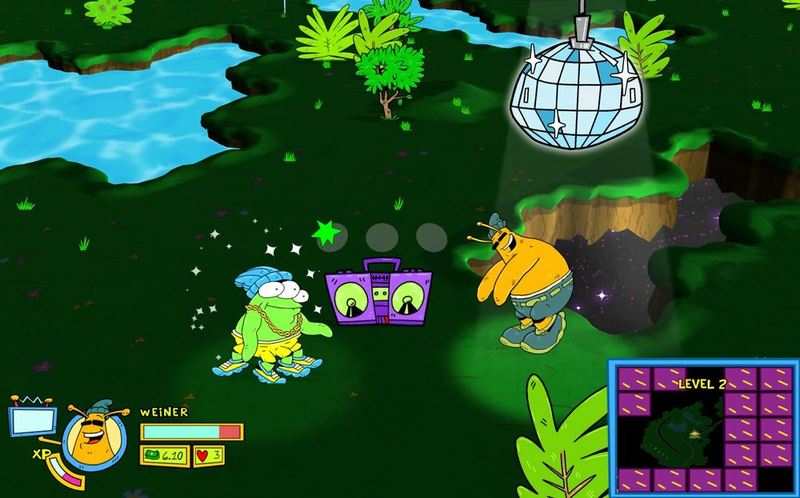 At this point, ToeJam & Earl: Back in the Groove is set for a late Winter 2018 release.